In life, we all crave stability. Unfortunately, a few seconds can forever affect your quest for stability. When all else seems hopeless, criminal defense may be your only answer. Put yourself into the following situation. Remember that guy you met at a house party a year ago? The one with the dark hair and seductive smolder? Ryan, was it? It just so happens that he has reached out to you seemingly at random. He asks you out for coffee via Facebook messenger, and you can’t help but remember him being particularly cute. You find yourself eager to reply but manage to wait the socially acceptable time gap, before sending back a chill, ‘sure.’ With the details of your upcoming date solidified, you find that you are abnormally excited to get to know the handsome suitor on a more personal basis. As the big day approaches, you realize you feel a bit different about this guy. While you aren’t the sort of person to change through multiple outfits and second guess your shoes, you find yourself doing that when the date with Ryan approaches. You have no idea that as soon as you open that door, your life will change forever. That one swift motion reveals a new perspective of the world. You’re swept off your feet with the shock of how natural everything seems with him. He even admits himself, “I feel like we’re the same person.” With that charming statement, you begin having regular dates with Ryan. Ryan seemed perfect at the time. He made you laugh and brought brightness into your life that you feel you’ve been blind to for a while now. You shared so many amazing memories with him that looking past his flaws was easy. The fact that he relied on smoking marijuana no longer seemed like an issue, but merely a norm. He convinced you that since other states legalized it, it was just a matter of time before Indiana became in favor of the vegetation. 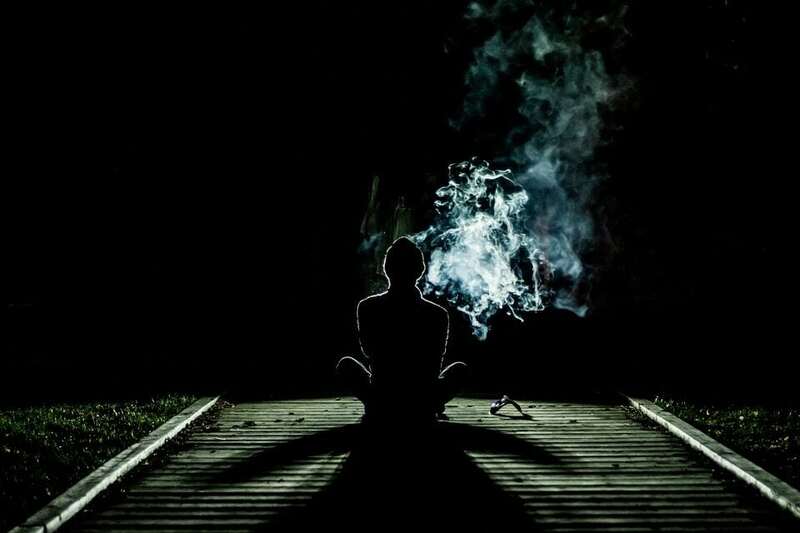 One night you decided to smoke with him. That’s when you found yourself in the alley. “Hey, step back here,” he said as he guided you with the grasp of his hand. You follow along, unaware of what is to find you in the next half hour. You come to a stop as he turns to you and grins, “This is great babe, no?” You can’t help but offer a meek smile in return. The dreamy moment breaks as you see a white-knuckled hand grip down on Ryan’s shoulder jerking him back. You let out a high-pitched scream as another officer grabs your forearm. Everything seems to go by so fast, but one thing is for sure. The four walls that you find yourself surrounded by are not welcoming. In fact, they’re foreboding and cold. Ryan doesn’t seem so great right now, and neither does the near future. If you ever find yourself or someone you know in a similar situation to this one, it is crucial to acknowledge that there is still hope. Drug possession charges can be a permanent offense on your record; however, with the proper defense and attention, you can get the second chance you need to welcome back stability to your life.Criminal defense by Coulter Law Office can help you achieve the freedom to attain employment opportunities, financial security, and the relationships you want in your life. Reach out to our office today, and get the assistance you need.